Individually controlling ambient lighting on 19s? You can control the front portion of the cabin (doors, footwells, center console) separately from the back (rear doors) in terms of brightness, but you can't have different colors for the front vs rear, and you can't control the individual sections in brightness or color. It would be nice if you could at least make the footwells controllable separate from everything else, but no such luck. Thanks.. That is what I was guessing. Ive seen all his vids and you're probably thinking of the A Class where you can individually change the colours of different parts of the interior. 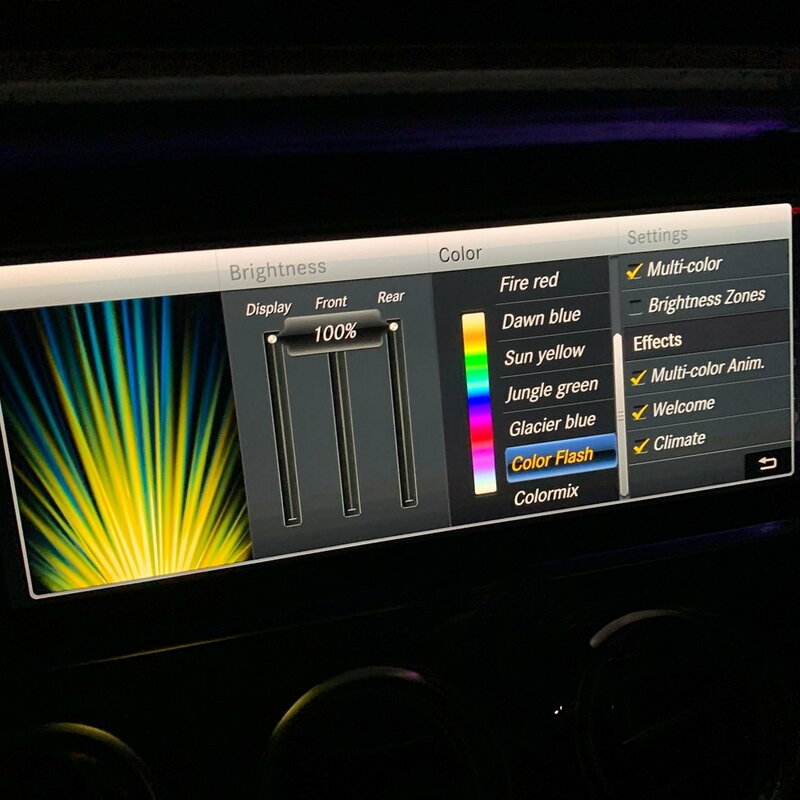 Speaking of ambient lighting, has anyone figured out what "car flash" or "colormix" is on the settings? I don't see it flashing or mixing the colors or anything. Which vehicle is that screen from? I know my screen for ambient looks nothing like that. My guess would be the S class facelift judging by the vents/dash. Similarly on this topic, but not specific-- Does anyone know what the Ambient Light changing to Red, flashing, then changing back to its set color means when you are sitting in the car with the engine off for a bit? It means it's time to crank the window and let that smoke out...lol...sorry, I just had to. Last edited by rustybear3; 02-12-2019 at 02:24 PM. I've got to admit, I've sat in my car for long periods of time, making and access adjustments, etc. Never once have I seen that flashing red light you spoke of. That would freak me out in the mode of "danger, danger, Will Robinson." New purchase order - production status? 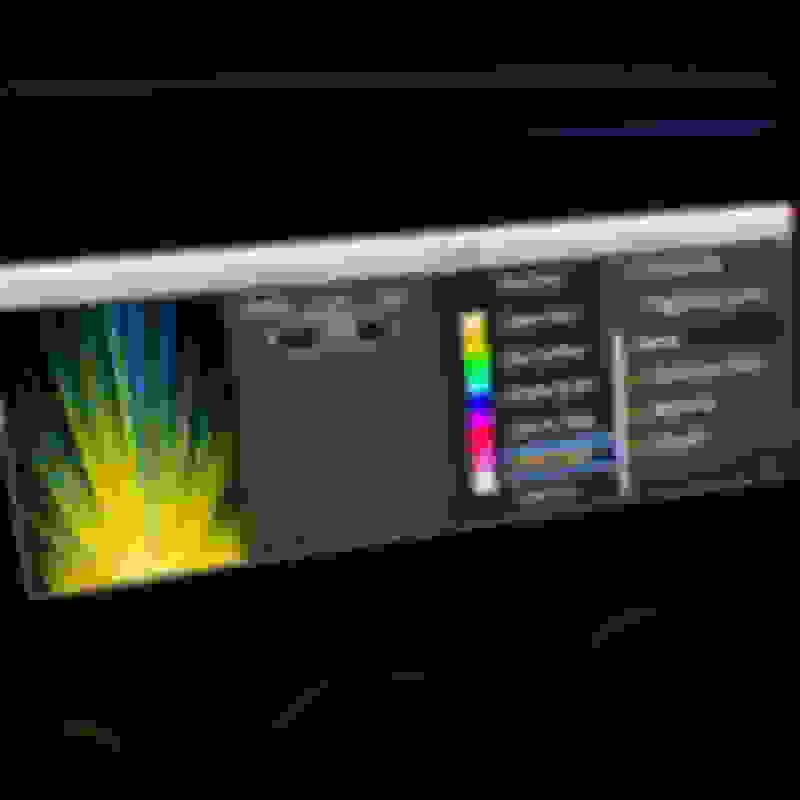 Quick Reply: Individually controlling ambient lighting on 19s?